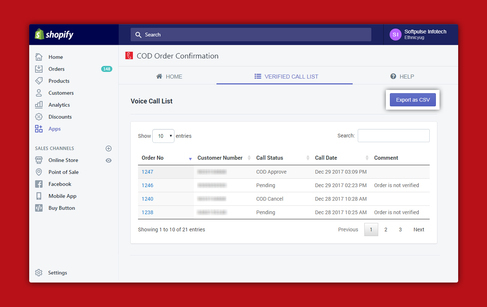 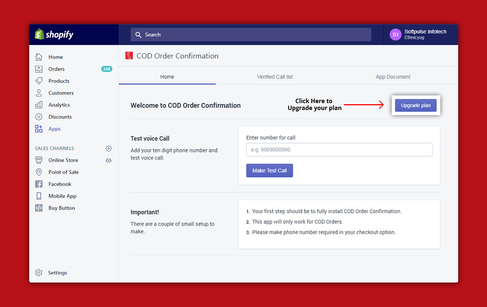 Auto order confirmation via phone call for Cash on Delivery (COD) orders. Reduce product return ratio and save your valuable time for unnecessary shipments because of fake/dummy orders. Tags for filter and retrive orders easiliy. 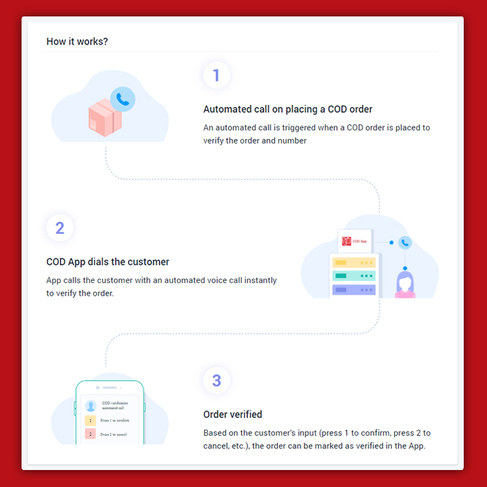 - Whenever customer places a COD (Cash On Delivery) order on your, App immediately call customer on given mobile number and IVR will be played for Order Confirmation. And ask for an input to approve or reject the order.